For years now, camera makers have slapped “Wi-Fi compatible” labels on digital cameras to try to convince consumers that they can easily access the Web and share photos from these devices. Technically, this is true. But they’re often much more clunky or complicated than advertised, especially compared to the photo-sharing experience you can get with a smartphone. So Nikon has introduced a digital camera that’s meant to grab the attention of photo-happy smartphone owners and offer the best of both worlds: High-quality photos with easy sharing. 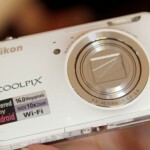 The Nikon Coolpix S800c is a sleek, compact, point-and-shoot camera that runs on an Android operating system. It hit the market last month, and costs $350. It takes 16-megapixel photos and has a 10x optical zoom. Like an Android smartphone, the camera has a capacitive touchscreen display that responds to gentle taps, is Wi-Fi-enabled, and offers mobile apps like Gmail, Facebook, Twitter and Instagram. Smartphone shutterbugs, rejoice! Well, maybe hold off on the celebrations. I like the concept of a hybrid camera, and having familiar apps and an Android keyboard at my fingertips made sharing easy. But I wasn’t hugely impressed with the quality of photos this camera captured, considering that it’s a Nikon. And the sharing was all really dependent on whether the camera was connected to a strong Wi-Fi network, so I ended up sharing and emailing most of the photos from home anyway, not while I was out and about. And consumers curious about this emerging category of cameras may want to wait a few weeks to check out the Samsung Galaxy camera, another digital camera with an Android operating system. 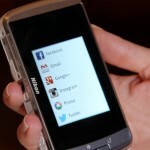 That camera will be available through AT&T, so it will have cellular data options in addition to wireless capabilities. Polaroid says it’s still planning on introducing an Android-powered camera, which it first showed off at the Consumer Electronics Show early this year. The Nikon’s two-toned body has a slimming effect (in the U.S., the camera comes in a combination of silver and either black or white). It measures 4.4 by 2.4 by 1.1 inches — smaller than an iPhone, but fatter, with rounded edges — and weighs just under half a pound. Photos and videos are stored on a full-sized SD memory card. It has a luminous 3.5-inch OLED touchscreen display. Next to that, there are physical Back, Home and Menu buttons, offering a nice blend of touchscreen and tactile buttons for navigating the camera. 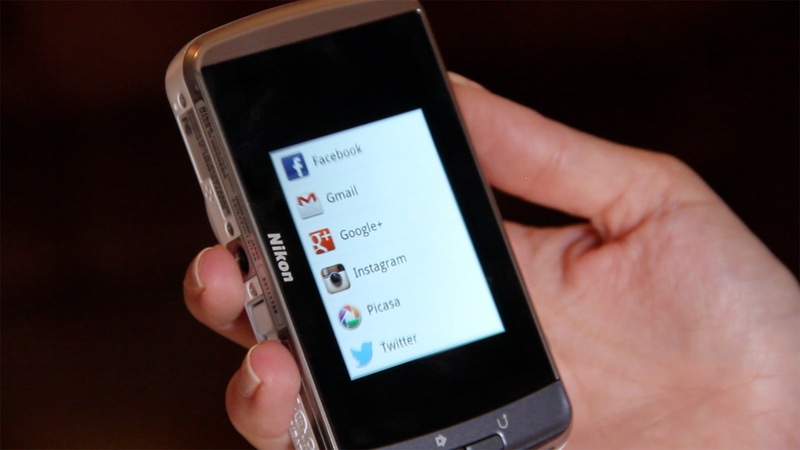 The Nikon Coolpix S800c is running on Android 2.3 Gingerbread — an outdated operating system — and it’s not updatable to newer versions of Android. In the case of this hybrid camera, though, I find this to be a bit more forgivable than if I were reviewing a phone or tablet with an old operating system. 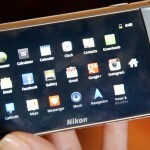 Android users will find the camera’s interface to be familiar and user-friendly. The virtual Android keyboard pops up when you need to type. Android apps are easily accessible from the Google Play app store. 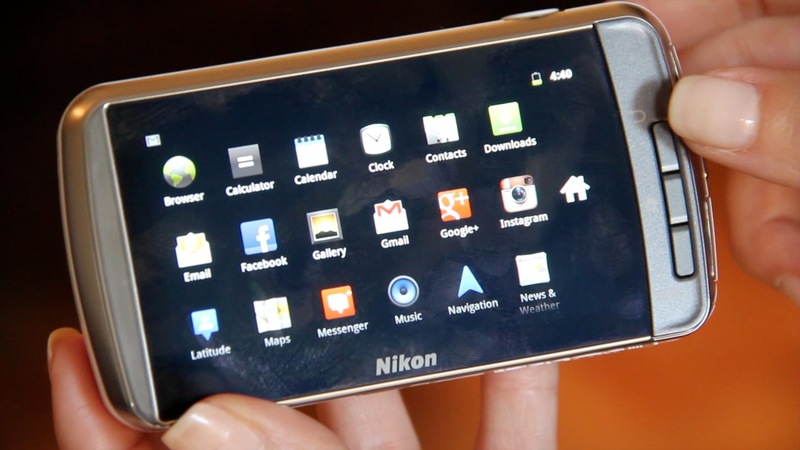 The camera even has a lock screen that looks like the lock on an Android smartphone. Before I took any photos, I went into the Google app store and downloaded my favorite apps, like Twitter and Instagram. YouTube, Gmail, Google Search and Google+ all came preinstalled. To keep it simple for non-techies, the camera’s home screen has just five icons: Shooting, Play, Upload, Browser and Settings. Settings is where I connected the camera to my home Wi-Fi network. Shooting is where I accessed basic photo-taking functions. Like smartphones, the Nikon Coolpix S800c has a GPS chip that records location data, so users can see where each photo was taken. I could take photos by simply tapping the display, and I could also pull, pinch and squeeze captured images on the camera’s display the way I would look at photos on my smartphone. Unlike smartphones, this camera offers optical zoom and more obscure photo settings like Dusk/Dawn, Fireworks and Sports, for action photos. For me, it wasn’t a total love affair with the Nikon. While the camera captures crisp, full-HD video, some still images came out soft or out of focus. I had to fiddle with the white balance at first to get photos to look normal, and not too orange or blue. The Nikon put its best face forward when I took pictures at night or in low light, but some daytime photos didn’t look all that much better than photos taken with my everyday iPhone 4. When I was connected to Wi-Fi, sharing the photos from the Nikon was simple. I tweeted photos and shared to Instagram the same way I would from my smartphone. 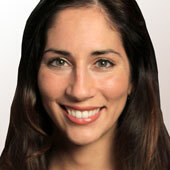 I could even share a photo to the social networking app that we use internally at AllThingsD. And because I was logged into my Google account, the camera auto-filled my Gmail addresses for me. So, when I sent a picture to my 65-year-old aunt, who doesn’t email much, I didn’t have to struggle to remember her email address. But when it wasn’t connected to a Wi-Fi network, the Nikon was just another point-and-shoot camera with a nice touchscreen. In some public places, like a coffee shop or hotel, the camera resisted connecting, even when I had no problem connecting my laptop to the open Wi-Fi network. In one situation, I relied on my iPhone’s “personal hotspot” feature to create a Wi-Fi network for the camera. Nikon says the Coolpix should snap about 140 photos per battery charge, but battery life on this one is a little bit trickier to measure, since it’s operating, in some ways, like a smartphone. For example, unless you shut off the camera entirely by holding the power button down for several seconds, it still keeps the OS running on minimal power in the background in order to offer a quicker start-up when you press power again. In my experience, the lithium ion battery lasted just under two days with intermittent use. If you’re taking this camera on a long vacation, you can expect to have to charge it regularly. You may even want to buy an extra battery, since its battery is removable. I also experienced some minor bugs with the camera. It froze up twice, forcing me to remove the battery to shut it down entirely and restart it. It also showed a weird error message that the SD card in the camera couldn’t be used, even though the card wasn’t full or locked. 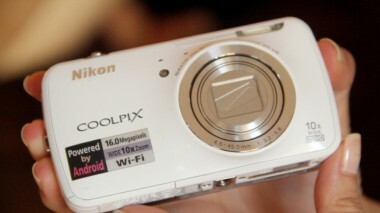 The Nikon Coolpix S800c is cool in concept. It puts your favorite Android smartphone apps right at your fingertips, and if you have access to Wi-Fi you’ll get that instant gratification that comes with immediate sharing. But it isn’t superb enough to make it my main camera squeeze, or even set it apart from some smartphones with good cameras. If I was going out for a hike, meeting friends for dinner or headed to a wedding, and I had to choose just one device to take, it would still be the smartphone.